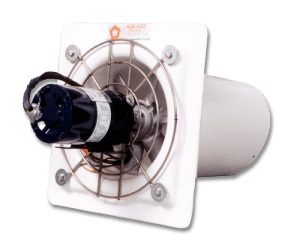 The discontinued AV-9 single-room Variable Speed Fan Control improves the efficiency of total ventilation systems in barns. Set-point adjustment allows farm personnel to set the temperature above which fan speed rises for more cooling ventilation. 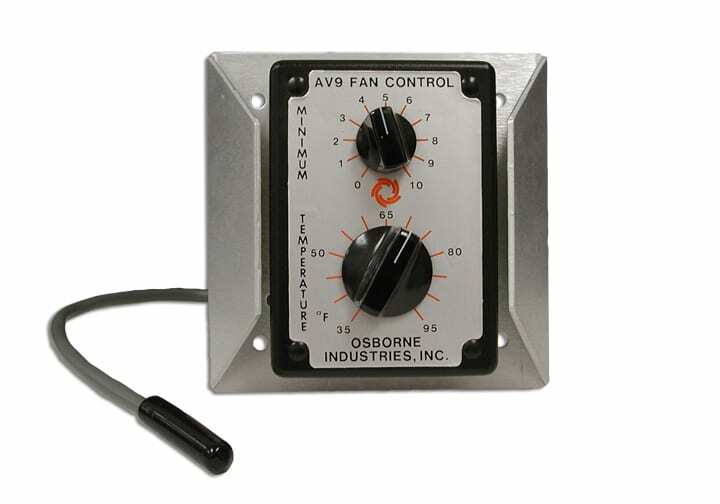 The AV-9 automatically increases fan speed as temperature rises until operating at full speed at 5° F above set-point. 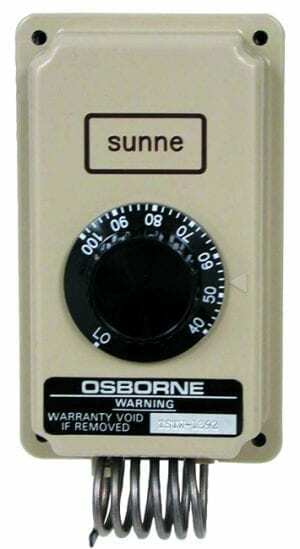 “Odor Knob” adjustment sets minimum fan speed in winter. If the winter-minimum ventilation rate chooses with this knob is too low for good air quality, simply speed up the fans by moving the knob to a higher setting. 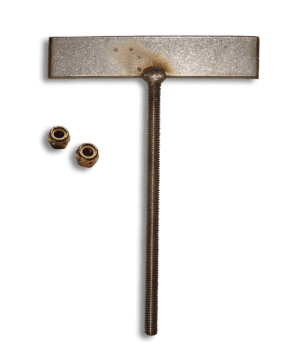 Operates on 120/240VAC without changing any internal connections. Works with PSC-type motors. Current rating is 9.0 Amps at 120/240VAC. Fits directly to standard 4×4 junction boxes, fully watertight and barn-ready. Controls 1/25, 1/6, 1/4, and 1/2 HP motors of the same size. * All motors must be the same size.